I hope you're all having a lovely Easter weekend. Looking back on my feed from last week, I'm remembering that there was a lot of yummy food involved (and wine). That's how it should be - eat, drink, and be merry; as my fiance would say. Well, okay, I'm pretty sure it originated from the Bible, though he does like to quote it, and we both like to live that way. That first pic is from a cafe and bar on Brookside here in Tulsa called Cosmo Cafe. 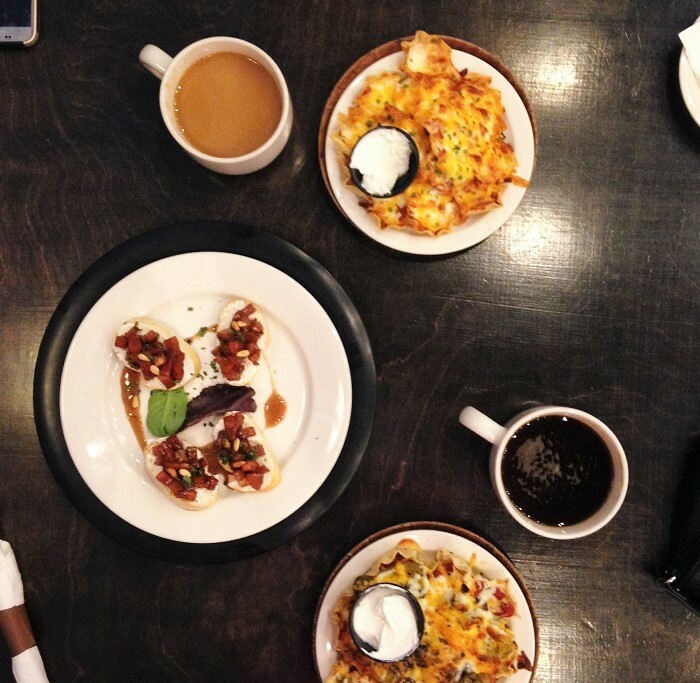 I go there strictly for the over-sized coffee cups and insanely delicious nachos. The atmosphere is really cool too. It was a celebratory lunch after finding my wedding dress at David's Bridal last weekend. :) You can see more of it here. On that same day, we got our Save the Dates in the mail. It was so exciting to see them in person. I had worked very hard to style and shoot the layout for the background image, and I was very happy to see it turn out how I'd imagined it. We wanted it to reflect all of the things that mean something to us - ticket stubs from date night, roses (because he always surprises me with beautiful bouquets), a shot of us holding hands at Zio's (where we had our first date), and a few other mementos. 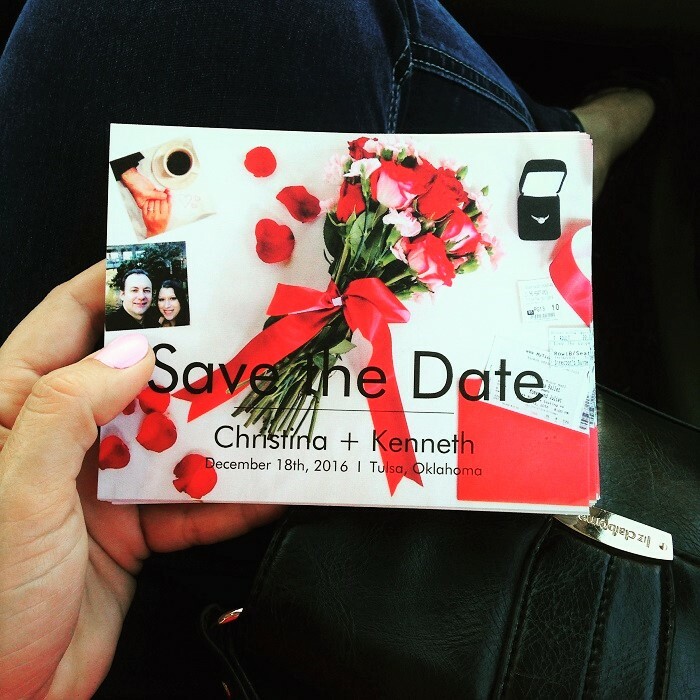 I'll share a DIY post on the blog how I created this layout and used Vistaprint to turn it into a Save the Date card. 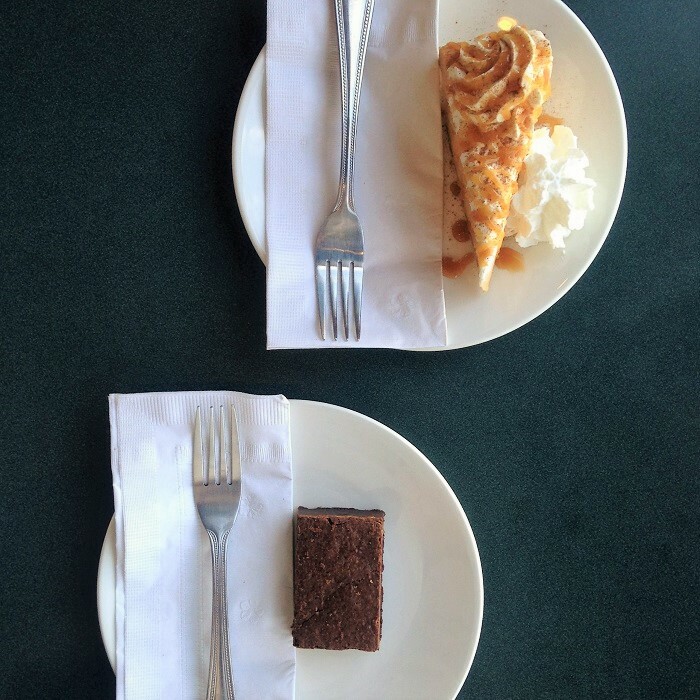 Later that day that my fiance and I enjoyed some very yummy cheesecake and the chipotle brownie at Barnes and Noble. If you haven't tried the Snickerdoodle cheesecake there yet, try it! It's sooo good. For a weeknight dinner, I introduced my fiance to one of my favorite dishes, and luckily he loved it too. 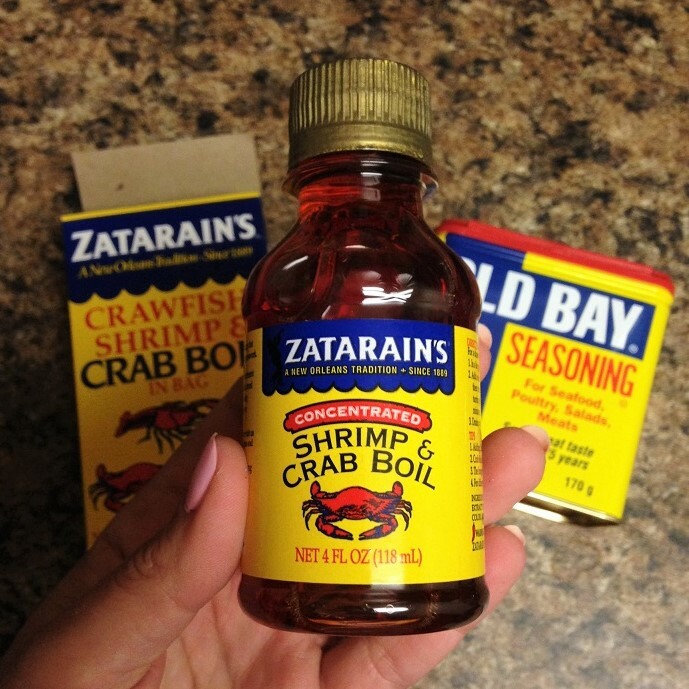 When I lived in Maryland, I first tried a seafood boil, made with Baltimore's iconic spice Old Bay. Though at the time, I had a neighbor from the south who also made the dish with Zatarain's. If you like spicy, you have to try this stuff. I'll take some pics the next time I make it so I can share my recipe. That evening we also discovered a favorite new wine. 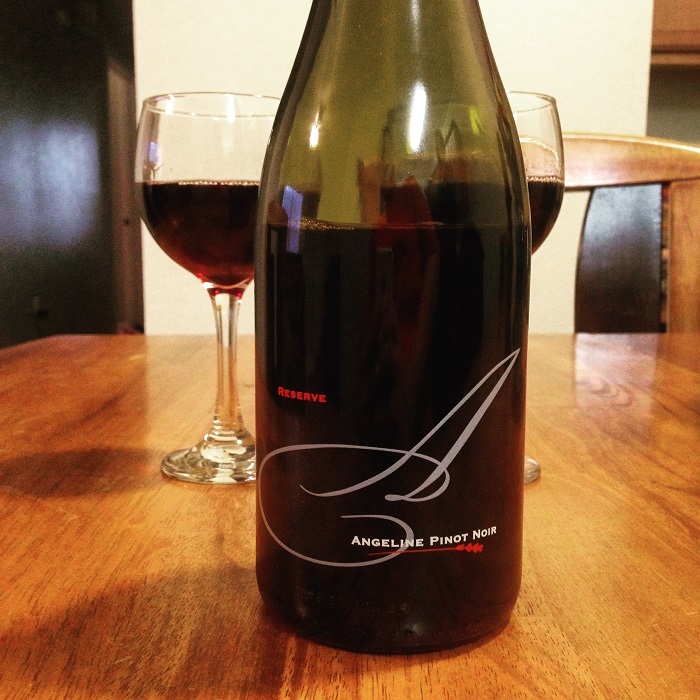 This Angeline Pinot Noir was probably the best Pinot I've had...ever. It was so flavorful but still smooth. 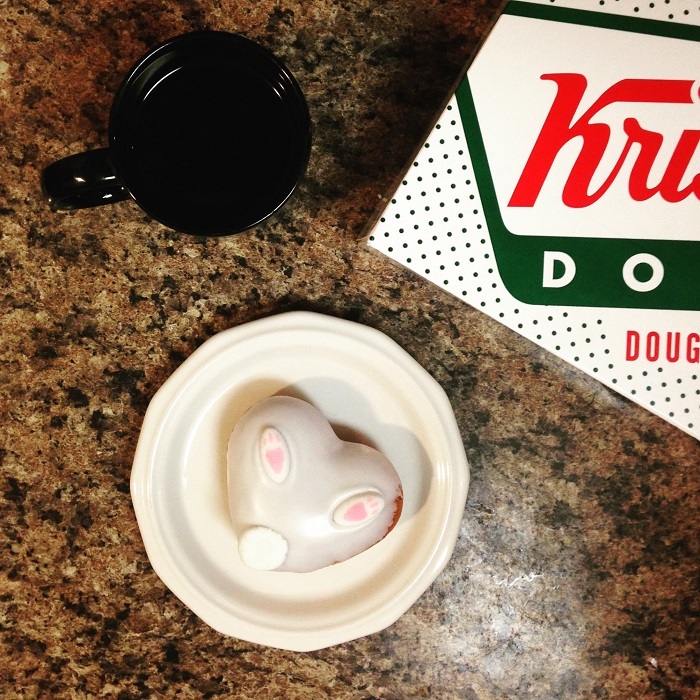 And how cute are these bunny buns from Krispy Kreme? This weekend will no doubt be full of more yummy goodness, as we head out to get an Easter ham and of course more dessert. Have a great weekend and a lovely Easter! If I were eating and drinking that much of the good stuff, I'd weigh about 300 pounds! Happy Easter! Loving these fun snapshots. 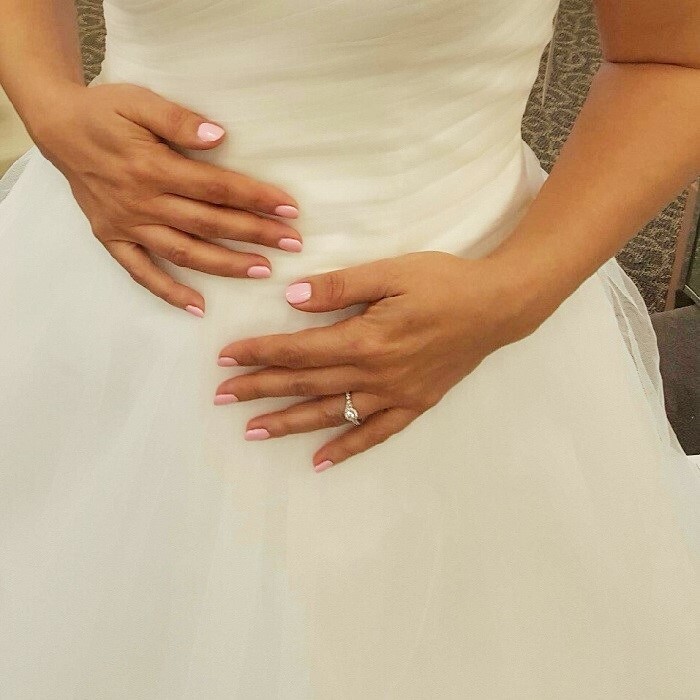 That bunny donut is too cute, and congrats on finding your dress! Looks like a wonderful week and tasty food! OMG! Kristina, I'm SO excited for you! You found your wedding dress - yay! The sneak peek looks fantastic and I can't see more later on!